A friend bought this for me at Home Depot, summer, 1996. I'm not 100% certain of the identification. It wasn't labeled in any way other than 6" tropical. I thought it was A. argyria. I purchased A. lowii from Glasshouse Works in June, 1997 and it looks like the same plant so I'm assuming I was wrong last summer. During its first winter, I placed it under artificial lighting. Other than a couple spider mite attacks, it survived the winter quite well. Nevertheless, it didn't grow a tremendous amount indoors. I can't say I was very fond of the plant but it survived so I kept taking care of it. 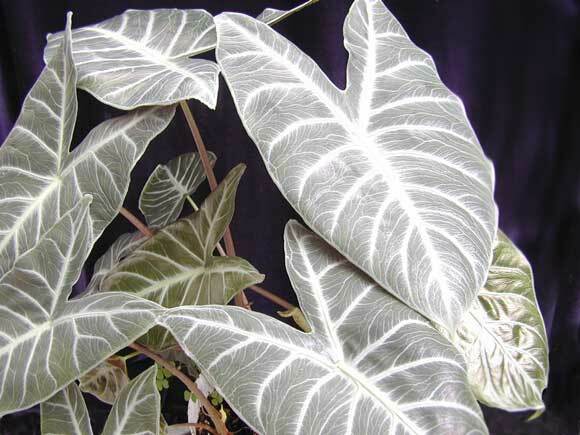 What really happened was that my home renovations mandated leaving plants out of the newly constructed greenhouse and a cold snap made the plant lose every single one of its leaves leaving only a bare clump of tubers. I brought it in and cared for it and then let it live outside during the summer of 2000. The plant is now situated in my greenhouse, has been divided and yet is looking as good as it did during the summer. 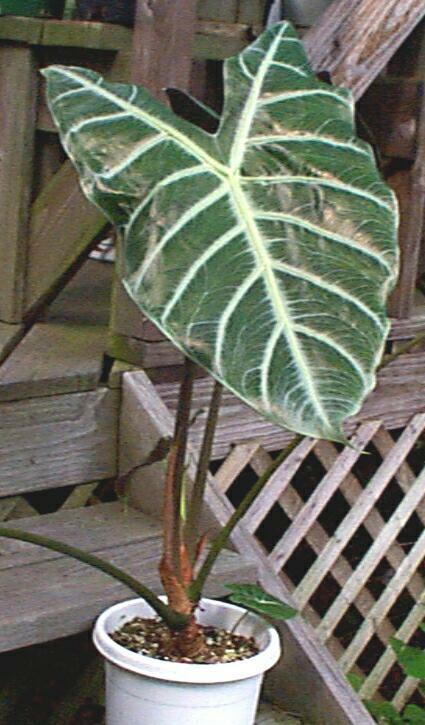 Here's what a lowii can really look like once it grows several leaves and the leaves are given an opportunity to mature. I have noticed that some of the tubers become very shallow-rooted and pull out of the soil quite easily. I've simply pulled them up, replanted the tubers deeper into new pots and thus started offsets. I'm about to start using a new potting mix which hopefully will allow for a stronger root structure as well as an even better growing plant.